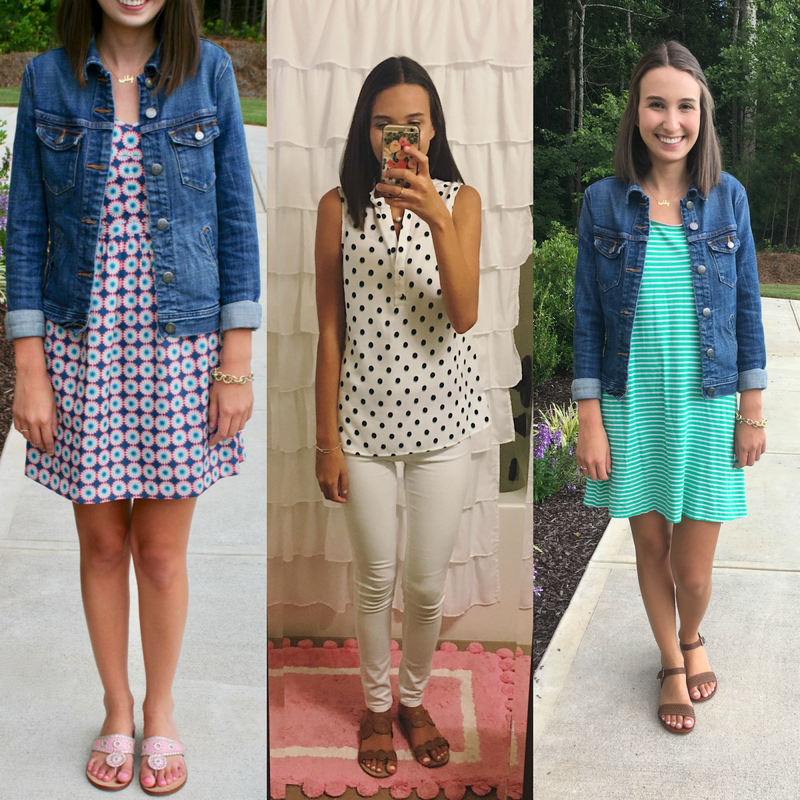 Whether you're a sophomore in high school or in college, this post is for you! I've teamed up with Sarah from Simply a Southern Prep to share our best back to school preparation tips. 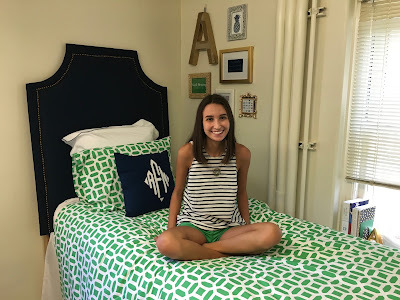 She's a sophomore in high school and I'm a sophomore in college, so we've worked together to share what we are both doing to prepare for the year ahead! Going into your sophomore year of High School means several things, you survived freshman year (hallelujah), you’re one year closer to a High School diploma, and more! But whatever the start of sophomore year means to you there are still many things to do to prepare. Really, you need the same things you need every year of high school. A new binder or notebook for every class, pens, pencils, a new backpack and/or lunch box, etc. But honestly back to school shopping is so fun! 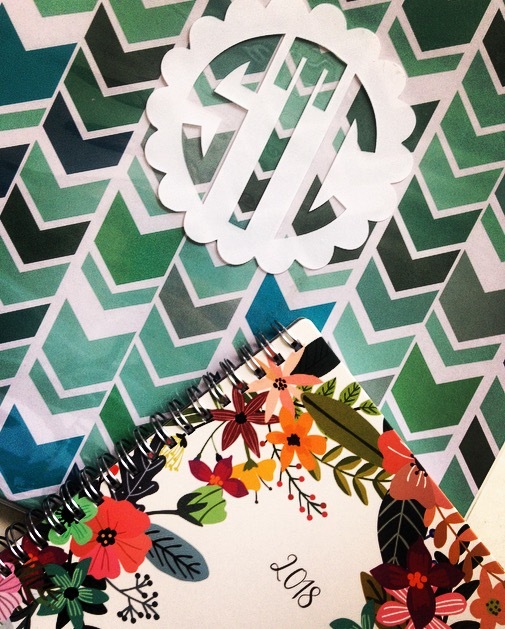 I love picking the cutest notebooks, a new agenda, and monogramming almost everything! 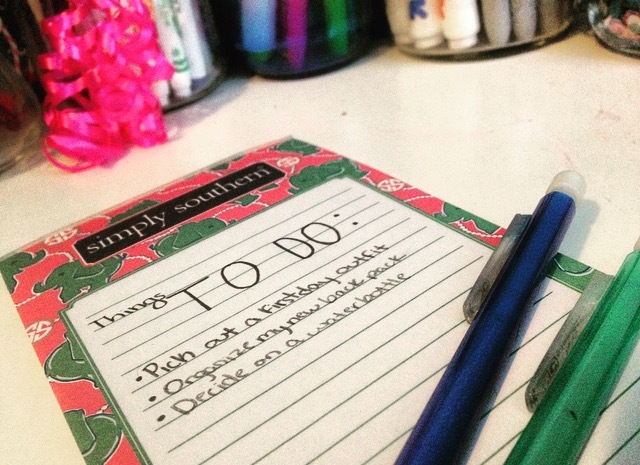 Other than the obvious things you have to do to get ready to go back to school such as supply shopping the to-do list of preparations definitely varies by the person. I for example stay up late and sleep in late during the summer, but that’s not really an option during school. So I find it best for the week or so before school starts to start going to bed a little earlier and waking up a little earlier each day so I’m more prepared on the first day. I personally have mixed emotions about going back to school this year. It’s my second year of High School but it’s my first year at this new school. I am excited for all the new opportunities I will have and the new friends I will hopefully make but honestly most of us don’t truly enjoy the actual school work part of school! Although we all have different interests and some classes can be very enjoyable, especially if you get a good teacher! Definitely one of my favorite parts of going back to school! I love picking out one special outfit every year to be the designated first day of school outfit. It’s a great way to make a good first impression on your new classmates and teachers, and although not every day of the school year gets an outfit as meticulously planned as this one it’s still a great opportunity! Preparing to go back to college for your sophomore year is nothing short of exciting. You get to see your friends you haven’t seen in months and you get to head back to your favorite place. But preparing to move away for the duration of the school year takes a bit of preparation. A lot of times you’ll move into an apartment for your sophomore year of college, so you’ll need to start purchasing kitchen and living room essentials that you never had a use for in your tiny freshman dorm. This summer I’ve also been trying to stock up some of my favorite college basics: leggings and basic tees. These are items that I know I wore time and time again last year and know that I will definitely appreciate not having to wash as often. I also am a big fan of buying my textbooks and school supplies ahead of time, so I don’t have to worry about in the first few weeks of school. Especially at a college like mine where professors waste no time to start assigning work. The main thing I do to prepare to go back to school is get organized. I have this super crazy organization system of using 4 calendars, so I try to get those updated as much as possible before I get back to school. This way I can jump into the year head first knowing exactly what I have to do! I also try to make sure my room is as put together as possible and that my backpack and desk are organized, that way I have a nice workplace and minimize distractions. I think it’s also a good idea to catch up with your friends before school starts, you likely haven’t seen them in a few months and will have lots to talk about so grab dinner and get your hours of chatting out before you’re swamped with school work. You would honestly not believe how excited I am to go back to school. I haven’t seen any of my friends in person in almost 4 months and honestly, I can not wait to get back and give them all a big hug! I also absolutely love my school and being away from it and a lot of my favorite places (hello Krispy Kreme) has been hard. But more than anything I am so excited to get back to school and to start getting into my routine. Working retail this summer and having an extremely unpredictable schedule has been difficult on my type A personality and I am more than ready to get back to predictability. The past few years I have worn a dress on the first-day school, I feel like it’s the perfect outfit because you look nice and put together but at the same time it is so easy! Because we all know it’s totally not easy to get up on that first early morning. I think making sure you look put together on the first day is important in making a good first impression to new teachers and students. But you should definitely wear what’s comfortable for you! If you aren’t a big fan of dresses, opt for some jeans and a nice top. No matter what grade you are in, I hope you have a wonderful year! I would love to hear what you all are doing to prepare for school in the comments.